There are a lot of essential oil companies out there right now. I’ve used oils before, but the cost starts adding up when used regularly. I can’t imagine spending that amount of money over a long period of time just to use a few drops of oil. There are some things that I feel comfortable splurging on, but essential oils aren’t one of them. I do treat myself once in awhile, however it doesn’t happen that often. 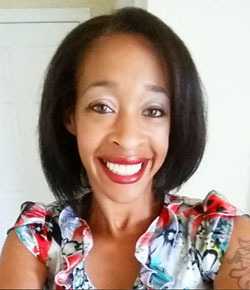 I’ve researched making essential oils at home and found out that it’s virtually impossible because of the process involved. I like using oils on my skin and hair and needed something that wasn’t too expensive, but would last me a while. 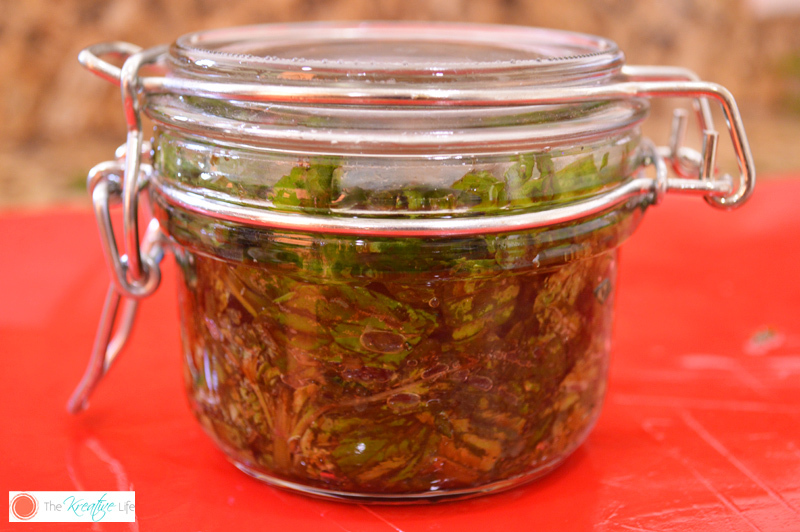 This diy mint-infused oil is made with fresh mint from the farmers market and grapeseed oil . Grapeseed oil is good for the skin and doesn’t have a harsh smell or taste like other oils. 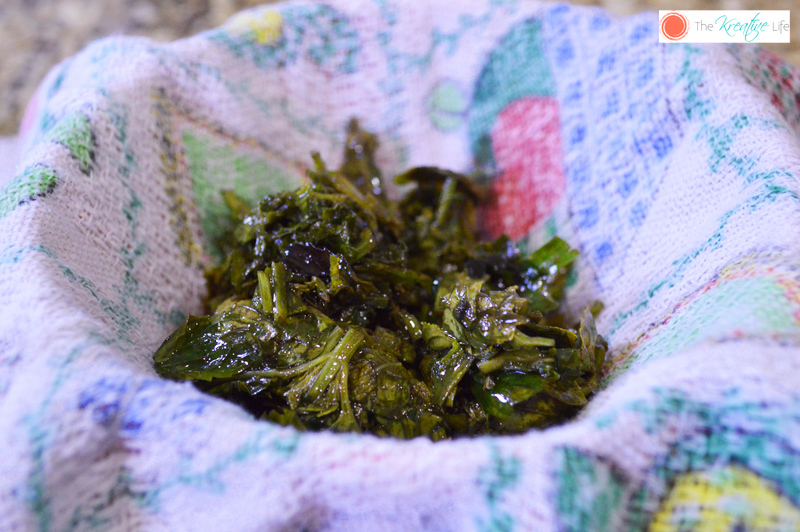 I thought it would be hard to learn how to make infused oil, but it’s a fairly easy process. 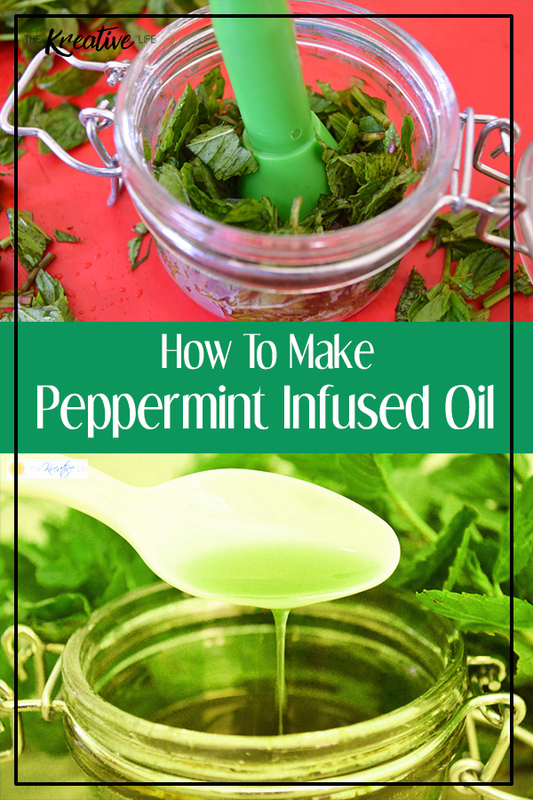 Once I learned how to make infused oil with peppermint I started using it in everything! 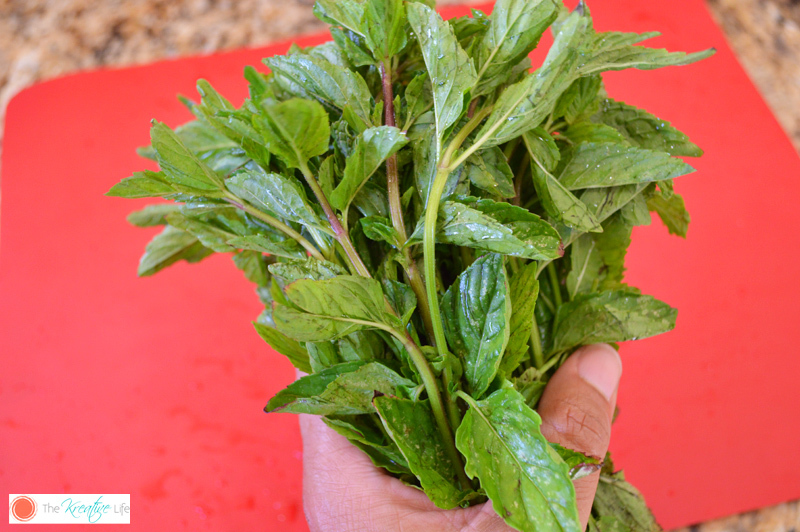 I use homemade mint oil on my hair and skin, plus it smells great. Enjoy! 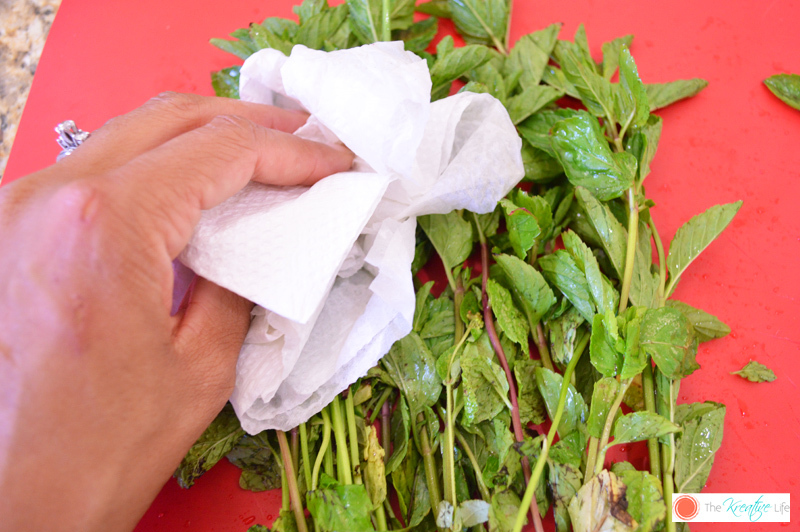 Take a bunch of mint, wash them, and pat them dry. Remove the brown leaves from the bunch. 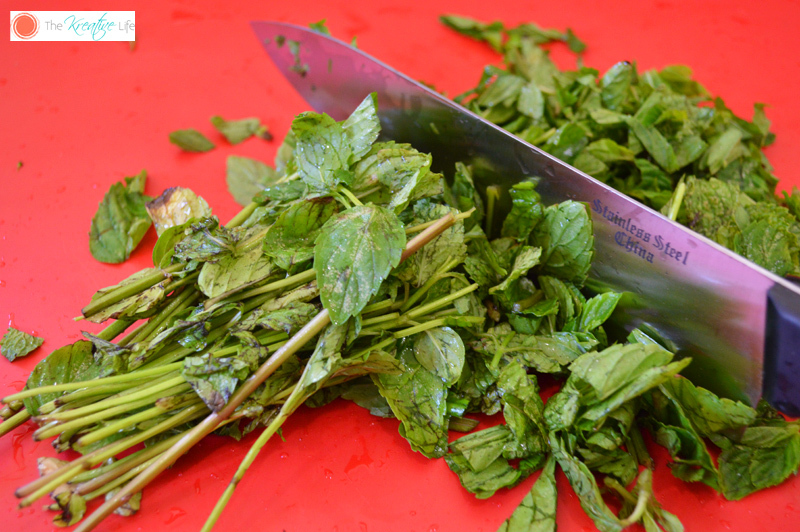 Cut the mint, including the stems. 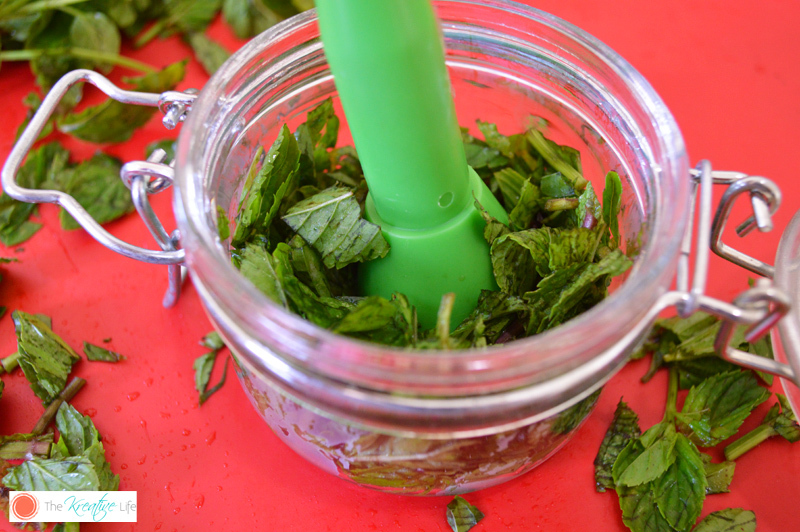 Place the cut mint into a jar with a lid and begin to muddle. Muddle enough just to bruise the mint. 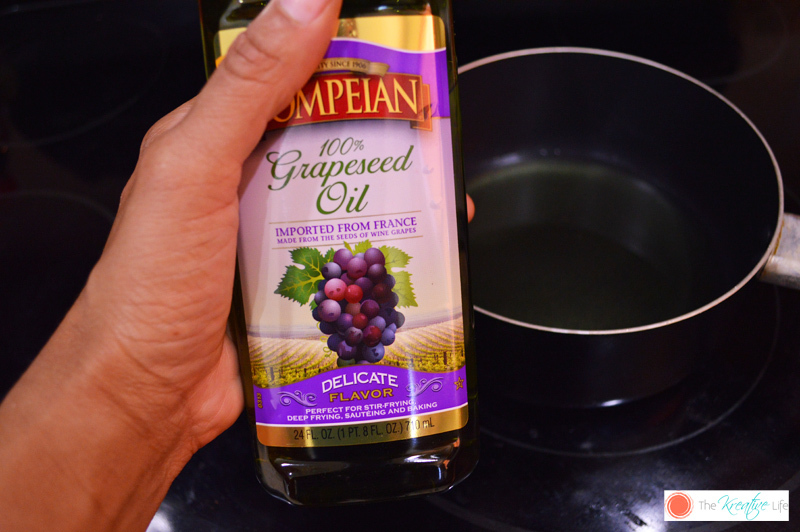 Over low heat, in a small sauce pan , warm the grapeseed oil. 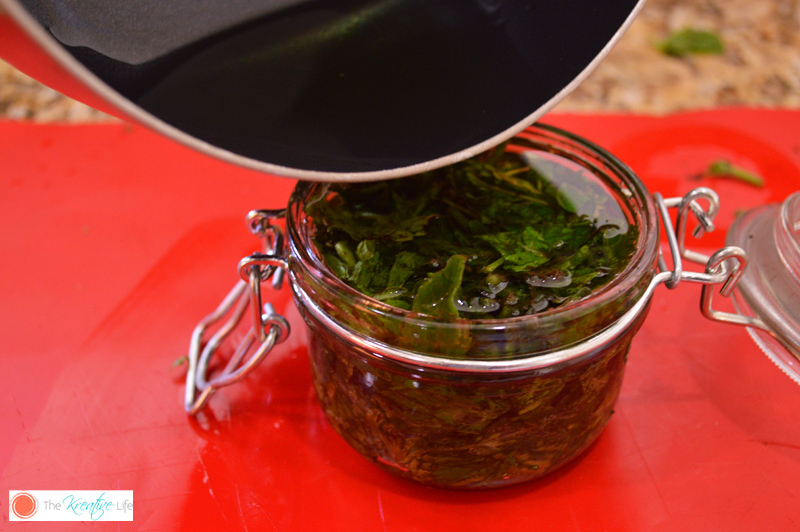 When the oil is warm, not boiling, pour the oil over the mint in the container. Close the lid on the jar. Allow the mint/oil mixture to sit for at least 24 hours in a cool, dark place. Place an old towel or cheese cloth over a bowl. Scoop the mint into the middle of the towel. 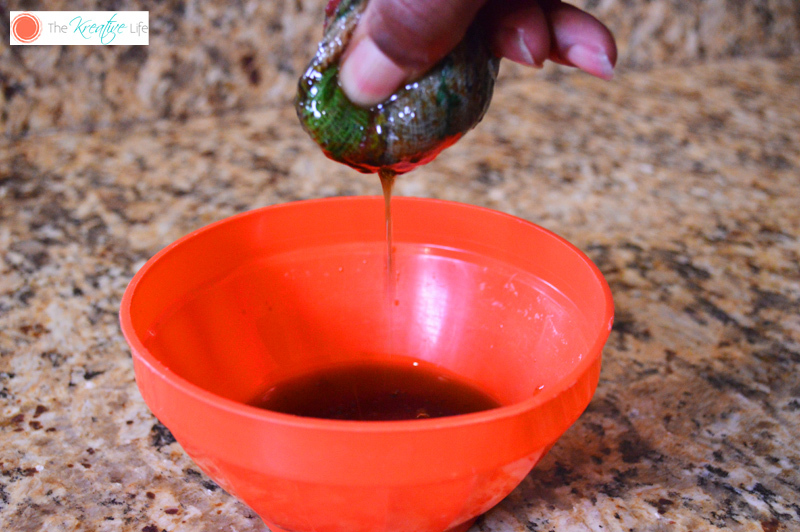 Gather the ends of the towel and twist the mint inside of the towel, so the oil can drip back into the bowl. Pour the infused oil back into the jar with the lid. Store in a cool, dark place until ready to use. I am totally trying this! We have a ton of mint in the garden at home. I feel like this would be great to rub on extra dry spots after a hot shower. I will definitely be trying this out! I love the blue oil from Aveda and this looks like a MUCH cheaper version! This is perfect for fruits and summer salads. Thanks for sharing- I will definitely be referencing this later. I’m going to try this! I have a lot of wild mint in the field I can put to use. I used to have a ton of mint in my backyard… Now I need to go back to the store to go buy some. This will come in handy! I can imagine this would smell amazing! What a great idea! 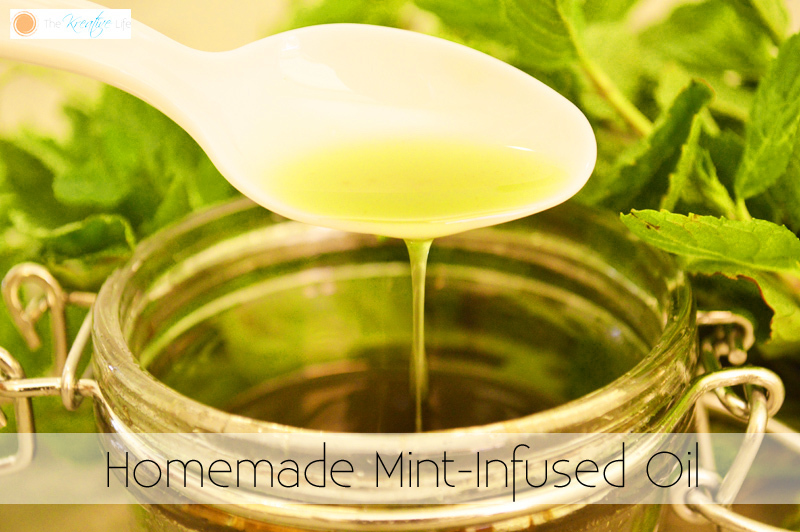 Great ideas on how to use mint oil! Now it’s a must try. Thank you! This so smart! I think I’ll try it with lavender and mint. Or lemon and orange zest. There are so many possibilities! I’m always looking for oil recipes! Thank you for this one! have been wanting to make infused oil with some of my fave herbs, thanks! I don’t use oils because I have so many allergies and I don’t know what is in them, however, with this process I would know exactly. Unless this isn’t the same oil people use for smell. Hi, Gladys! This is an infused oil and not an essential oil. It only requires two ingredients and will definitely smell like mint. I hope you like it! Wow, that was really easy and I bet it is amazing. I love essential oils but they can get quite expensive. This is a great option when you don’t want to spend a lot! This way really does save money! I agree! It’s so much better to make it yourself, and they definitely can be expensive. I used to grow mint in my yard, this would have been great knowledge to have. Hi, Heather! I bet the smell of fresh mint in your yard was awesome! I really love the smell of mint. I’ve never tried making infused oil, but your technique seems simple enough. I’d love to try it on my own. Hi, Elle! This process really is easy! I never knew you could do something like this at home! Very cool! I’ll have to try it out! Yes and you know everything that’s in it when you make it at home. Love this, I so need to give it a try, I think there is so much satisfaction in making things yourself and especially when you know exactly what ingredients are going into it! I definitely want to try this soon! Wow, this looks like it would be delicious on my savory tofu. I like trying new ingredients. It looks heavenly. How awesome it is to be able to make your own oils instead of buying them. I like this mint infused grapeseed oil. I can just imagine how lovely the scent would be! Such a simple process too! This is smart! Love the scent of mint!! This is a wonderful recipe to make your own oil! And so much cheaper than buying it too! I’m glad that you like the recipe, Brenda!